Dear guest, Thank you so much for spending a couple of days at Pura Vida Pai Resort and for your lovely review. It's good to know you liked is so much. It was a pleasure looking after you and we hope to see you again one day. Until then we wish you all the best. Warm greetings, Noi and Aad. Dear Paul, Thank you so much for staying with Pura Vida and for your lovely review. We're so happy you had such a good time with us and we hope to see you again one day soon. Until then we wish you all the best. Warm greetings, Noi and Aad. Dear guest, Your review makes us very happy. It shows we are doing something right. 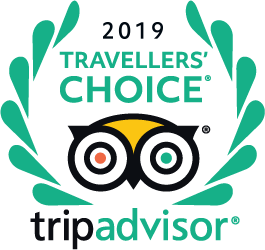 Thank you very much for this and for choosing Pura Vida for your holidays. It was a pleasure looking after you and we hope to see you again in the near future. Until then we wish you all the best. Warmly, Noi and Aad. Avantage: un peu à l'écart de la ville donc au calme!!! Defaut: un peu à l'écart de la ville donc scooter ou voiture obligatoire.!! Sinon rien à redire, c'est très charmant, très bien tenu et très accueillant. Dear Alexandre, Thank you for staying at Pura Vida Resort and for the lovely review. It's great to hear you had such a good time and we hope to see you back again. It was a pleasure to show you our hospitality. We wish you all the best. Warm regards, Noi and Aad. Dear Shoula, Thank you so much for your feedback. I'm sorry the breakfast was so disappointing. I hope you understand how hard it is to satisfy everybody's taste. We try our best to make a nutricious, healthy and freshly made breakfast but sometimes we seem to fail. I'd like to put the distance from Pai to Pura Vida right. It's not 10 km but 4 km. Maybe it seemed longer to you when you drive from town back to the hotel, specially at night. We're happy that, overall, you had a good time end hope to see you again. Warm regards, Noi and Aad. Hello! I’m very keen in booking a 3d2n stay here. However as what many travelers have posted, the resort is a little out of the way. Will there be transport provided towards the town if we do not ride bikes as we only drove car before. Hi I would recommend you try a motorbike or hire a car. the resort is definitely out of the way of the town. you would need a reliable taxi driver if you used that as your mode of transport. we wouldn't recommend you rely on others for transportation. motorcycle is the very best way to see pai anyway!!! there isn't a reception as such at the hotel and no restaurant. if you have your own transportation this resort is an amazing place to stay, it was one of the highlights of our five month trip around asia. beautiful location, friendly staff and local people, awesome breakfast. Hello, I'll be taking a bus from Chiang Mai on Nov 25 2017 and i have booked for 3 nights. would you pick up from the bus station? I'm not sure of the bus schedule at this time but I'm flying to Chiang Mai tommorow and will find out in next couple of days. What is the difference in the cost of each room? What do you get for the lowest price of 855 per night? "Tous les bungalows ont l'air très bien."